A serious matter that most Westlake Village, CA property owners will have to deal with from time to time is finding a plumbing company that is reliable. However, our plumbing team is one that you can count on around the clock – we offer clients a 24 hour service at (323) 745-2839. Our plumbers know how important it is to arrive at your property on time, and once there, they will utilize their knowledge and experience to perform repairs, new installations and maintenance to perfection. In cases where a property is over 10 years old, it will start requiring maintenance in the form of replacing plumbing fixtures such as water heaters, faucets and even garbage disposal units. It is essential though, that these devices only be installed by plumbers who are licensed and qualified, as failure to do so could render an insurance claim for a burst water heater invalid. All of the members of our Westlake Village plumbing company are suitably qualified, licensed and experienced, meaning that they will be able to perform a variety of tasks according to current industry and safety standards. Another plumbing issue that can cost property owners hundreds or even thousands of dollars is undetected water leaks. When a Westlake Village plumber is called out to perform leak detection services, the task is carried out as efficiently as possible. We are also one of few plumbing companies that have the correct equipment on hand to perform slab leak detection – no matter how small the leak may be at the time. In addition, all of our technicians can perform extensive drain unblocking, cleaning and repair services, leaving your property completely safe and sanitary. As most property owners have discovered over the years, plumbing emergencies will always happen at the worst time imaginable. This is one reason why we provide our emergency call out service at fair and affordable prices. No matter whether your drain is blocked or your water heater is leaking, our team will be able to address and sort the matter out quickly – even if it happens over a weekend or holiday period. 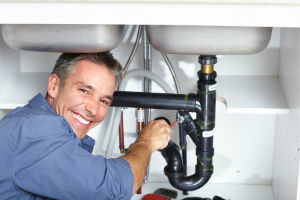 We want to provide a top-notch service that our emergency plumbing Westlake Village customers would be able to recommend to their friends and family. 24 Hour Westlake Village Plumbers | Schedule an Appointment Today!